If you live in a house with anyone under the age of 10 - or you are just a child at heart - you may have heard of a little movie called Frozen. Disney's latest animated feature tells the story of eternal optimist Anna, a princess who goes on a quest to find her sister Queen Elsa, who has put her kingdom into an eternal winter thanks to Elsa's powers. 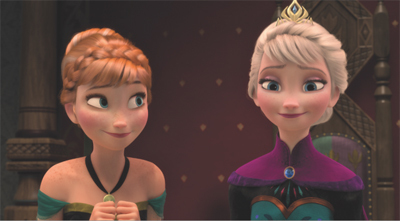 Frozen is a smash - it has grossed over $1 billion worldwide, making it the highest grossing animated film of all time. Fight the urge to tell Olaf what frozen things do in summer long enough to test your knowledge of this animated hit - how well do you know Frozen?